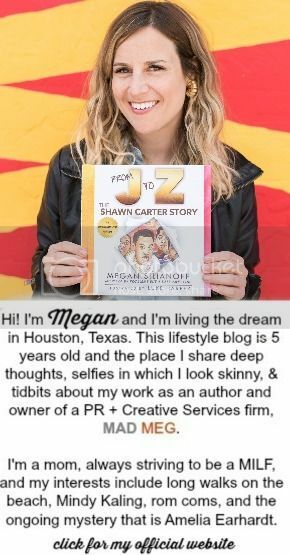 Though I'm completely comfortable being in the spotlight *hair flip*, today I'm introducing you to the REAL hero of From J to Z: The Shawn Carter Story. 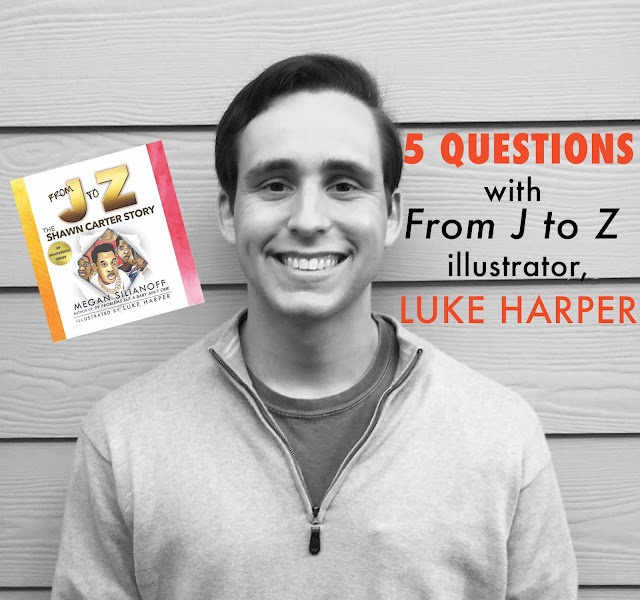 Introducing Luke Harper, the illustrator responsible for making my vision of a children's book about Jay Z come to life. 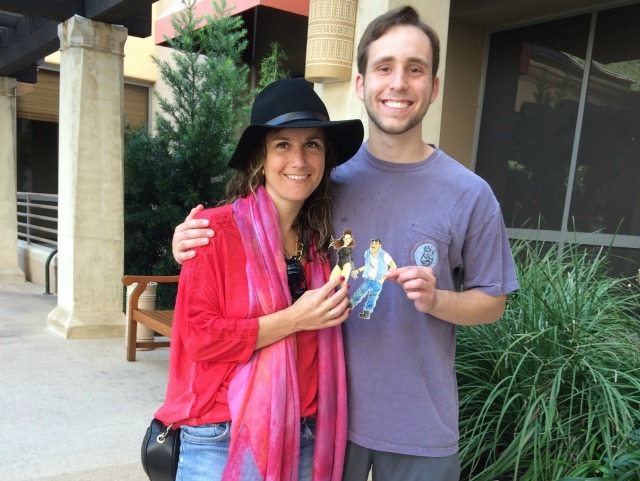 Luke and I are coming up on our one year anniversary as we met last summer through Mad Meg intern at the time, Sara Nelson. (They had been high school classmates.) I was meeting with three illustrators that week but I offered Luke the opportunity on the spot despite having two meetings to go. I just knew he was my guy! Without further ado, here is Luke Harper! 1. Did illustrating the book impact how you felt about Jay Z? 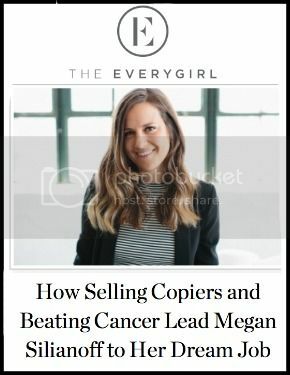 If so, how? Before illustrating the book, I didn't really know much about Jay Z, but now I'm a fan! My favorite songs of his are "Izzo (H.O.V.A. )," "Dirt off Your Shoulder," and "Otis." I like how easy it is to understand what he's saying. 2. 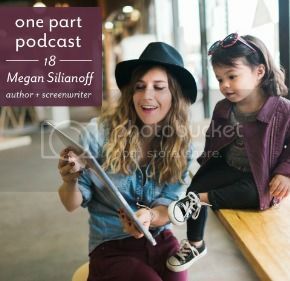 What was it like working with Megan? Is she as crazy as she seems? 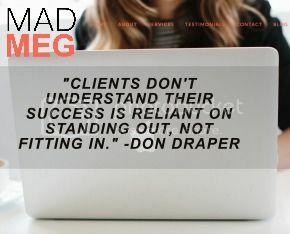 Megan communicates very effectively, so working with her was easy. She expressed her ideas well, she gave me good feedback on my work, she helped me plan every illustration, and, most importantly, she responded quickly. I never had to wait! Luke and I in when we met up in Austin. I don't know what I'm wearing and don't really want to talk about it. 3. You’re a crazy talented artist, but you’re not majoring in art at UT. Can you talk to us a little bit about your decision process on that. I honestly didn't go into college thinking that I wanted to be an artist. While I've been drawing all my life, it never crossed my mind to do anything with my talent. I just focused on doing well in school, and didn't think about what I wanted to do in the future. However, once I started to learn about the people and the processes behind the movies, animations, comics, and video games that I love, I decided that I wanted to enter the creative world! At UT, I'm a History major and an English major with a minor in Art History. I think that all of the writing that I'm doing for school will complement my painting and drawing. All of my interests are about combining storytelling and art. 4. What part of illustrating the book did you enjoy the most? What part did you least enjoy? Once Megan and I decided on using watercolors for the illustrations, I had a blast painting! Meanwhile, all of the time that I had to spend in Photoshop removing pencil lines from the illustrations wasn't fun, but now I know for sure what I would do differently! 5. You grew up in Houston! What are your five favorite spots in the city? Houston is low-key so good. Five favorite spots in the city? Memorial Park is a world-class running venue, Fat Cat Creamery is the best ice-cream destination, the Galleria is actually super fun to walk around, Rice Village is great because that's where I hung out with my friends back in high school, and finally, the Goode Co. Taqueria is the hero of Mexican food: truly the best of Texas and Mexico. Meanwhile, I really want to check out the mysterious underground tunnels that are supposedly beneath downtown Houston. I literally never knew they existed until two years ago. **To keep up with Luke, follow him on instagram! Or better yet, stalk him in the Houston Tunnels. Sounds like he'll be hanging out down there this summer!